South African Transport and Allied Workers’ Unions (SATAWU) is pleased the implementation of the National Minimum Wage (NMW) will improve the income of workers in the security sector. The National Minimum Wage Act came into effect on 1 January, setting the wage floor at R20 per hour with the exception of farm workers whose minimum is set at R18 per hour, domestic workers (R15 per hour) and Extended Public Works Programme Workers (R11 per hour). 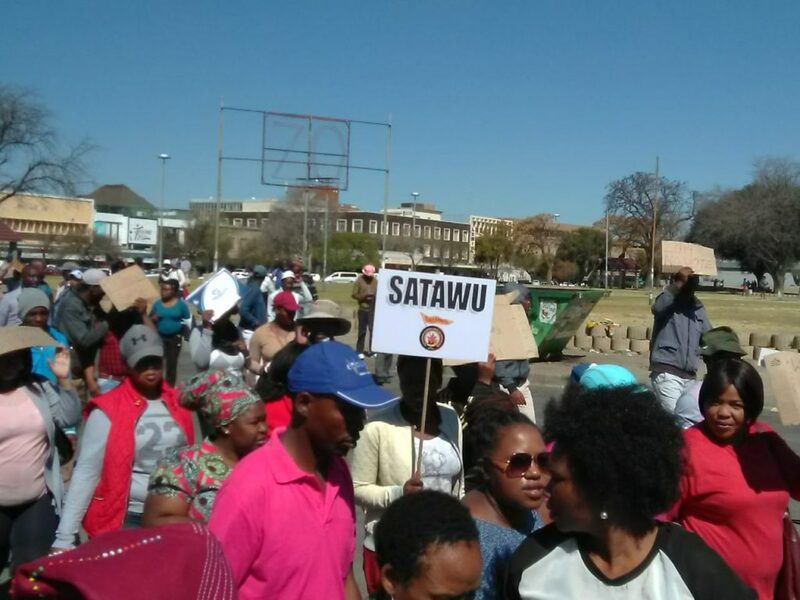 SATAWU acknowledges the NMW is not a living wage. However, we are pleased that starting end of January, its implementation will see security officers in Area 2 or 3 receive an extra R517 per month. Area 2 and 3 are those areas outside major metropolitan cities as such Johannesburg, Cape Town. For instance, a Grade C security officer in Area 2 or 3 who used to earn R3 643 will now be paid R4 160. It’s estimated more than 100 000 security officers will benefit from the implementation of the NMW. The status quo with regards to working conditions maintains. The Commission for Conciliation, Mediation and Arbitration (CCMA) and the Department of Labour are charged with the responsibility of ensuring employers comply with the legislation. In the past cases of non-compliance could only be referred to the Department of Labour. What if other security company delay? Report them to CCMA, Labour Department or your SATAWU official. So we’re going to get R4160? It means i miscalculated this whole thing, i thought since we’re working 20/21 day per month,then we were gonna get R4320 or R4560. So what must we do with fly by night companies that continue to milk our brothers and sisters? There’s a company next to where im working that pays its guards R2000, and such companies take our posts. Report them to the CCMA Com. Last time 2017 we got uncrement in fidelity until now. We report to satawu they ignore it. What about private company like Acsu security company? All security companies are private companies. Acsu is not exempted from complying with NMW or SD6 and any other national legislation. When are we going 7500 basic salary. This issue will be discussed during wage negotiations. Annual bonus is an entitlement for every employee who has completed a year with the same employer. It is paid on anniversary unless the union has a collective agreement with the company that dictates otherwise on payment date. Visit our Nelspruit office for assistance or the Department of Labour. Good morning ma’am Zanele, i have a question for you, since we’re receiving minimum wage does this mean we’ll no longer get usual September increases? National minimum wage does not substitute wage negotiations. The NMW only covered employees earning below R20 per hour. Wage negotiations will start soon. Now that the minimum wage has kicked in it means there’ll be no September increase right? National minimum wage does not substitute wage negotiations. The NMW only covered employees earning below R20 per hour. Wage negotiations are set to start soon.